Choosing upholstery fabric can be difficult at the best of times. 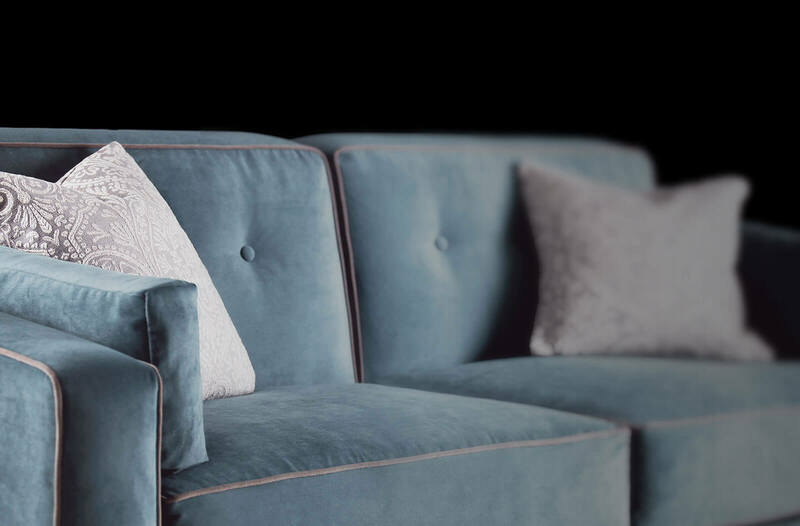 However choosing the right upholstery fabric for your lifestyle and needs, can be even more tricky. So we thought seeing as we know a fair bit about fabric, we could share a few tips and tricks of the trade. How do you really know which fabric is the right one for you? The trending fabric for upholstery this season by a long mile is velvet. There are so many different types of velvet and all of them would give a different look to your furniture item. Low pile velvet is a great alternative for those who don’t like the change in pile that velvet can often create. (Change in pile means that when you swipe you hands across the fabric it changes shade in colour – it provides a textured look that some people don’t like, some people love). High pile velvet is extremely soft and provides a very luxurious finish. Crushed velvet is then slightly more traditional giving a more aged finish to the fabric. Leather is of course a brilliant option for child proof fabric. Easily wipeable, spillages can be lifted off in a matter of minutes. We have some beautiful leathers to choose from. Some of our leathers distress, but most don’t. If you don’t like leather and have children, then you could look into the option of Guardsman Fabric Protection for another fabric. It is £100 for a 5 year cover against accidental damage and spillages. There is a treatment that goes onto the fabric you choose, that doesn’t affect the colour or feel. This then prevents any liquid from soaking into the fabric. If you do struggle to remove a stain, then you still have your insurance cover to claim on an unlimited amount of times up to the value of your product. So if you don’t like leather, you aren’t stuck with no alternative options. 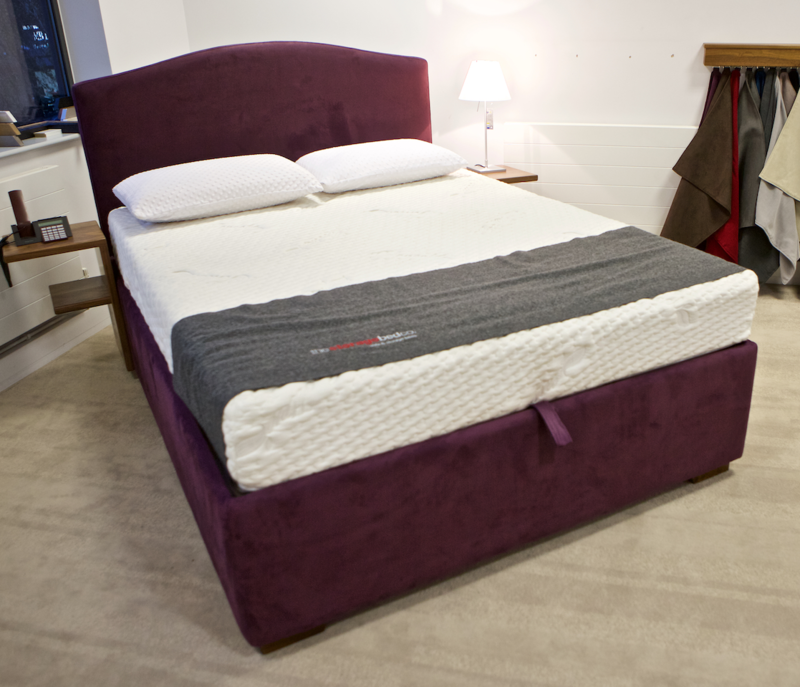 Our in-stock Plus bed that is ready to go on our clearance page upholstered in a deep purple faux suede. Pets are the next common topic of conversation when talking about which fabric might be the best for your sofa. Particularly when you have cats. Cats… oh how we love them, but they do like to scratch at anything that looks lovely. Well okay, not all cats do – some are perfect, and the ones that do scratch don’t mean to damage your furniture – they just accidentally do! If this is something that might concern you, then we have just the fabric for you. Faux Suede! Cats cannot get their claws in the fabric and Warwick Macrosuede, the brand we use, actually say its a cat proof fabric. Aside from leather, wool is officially the easiest fabric to clean. There are lots of sneaky tricks of the trade to clean wool, which of course can all be found on the trusted Google! Wool is in fact used for seating in airports due to its durability and rub count. As an alternative to wool, linen is also relatively easy to keep clean. As a washable fabric, it can get a little wet. So spot cleaning is ok. We suggest a damp, colour cloth (this is very important, so that die doesn’t transfer from the cloth to the product) and give your product a gentle clean using upholstery cleaner. Make sure the cleaner doesn’t contain bleach, and test it in a small section first. All of our fabrics that we have to choose from, for all of our products, are incredibly strong. We have already done the selecting for you, and so when you choose between them, you are simply selecting which fabric you prefer. If you do decide to provide us with your own fabric, there are a few things to know. The fabric must have a rub count that is over 20,000 on the Martindale Rub Test. This means that it qualifies for upholstery use. There will be a little sofa symbol on the back of the fabric if it passes this test. The fabric must also be FR treated, which means fire retardant. 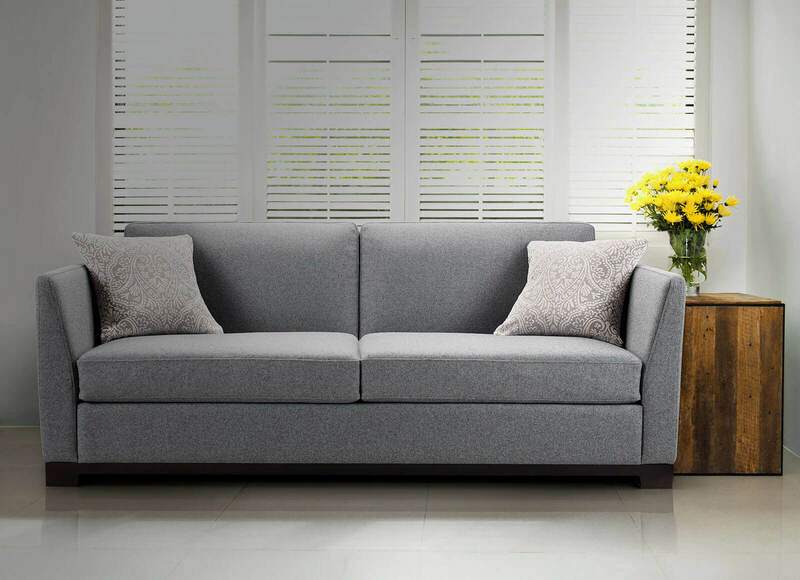 It is a legal requirement in the UK for the fabric to be FR treated for products such as sofas and beds. Don’t worry, most fabrics can be ordered in FR, and if not, we may be able to back it with an FR interliner. Still not sure which upholstery fabric might be the right one for you. Then why not order a few free fabric samples from our website. That way, you can see what they look like in your home. 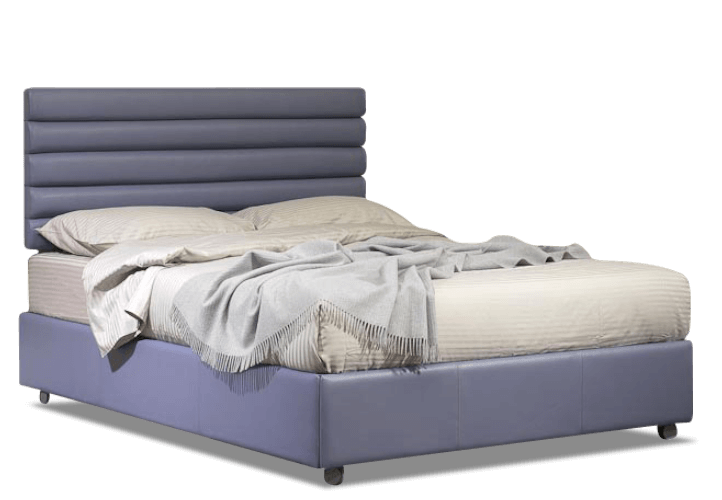 Next Next post: Sofa Bed experts are here to help you!